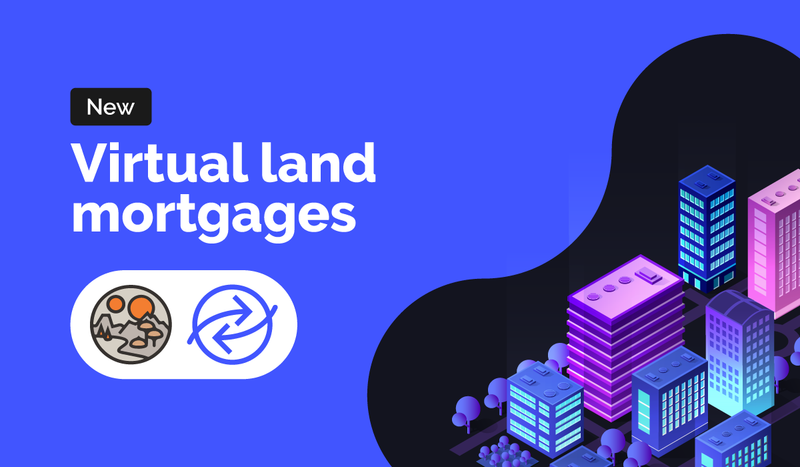 We’ve partnered with Decentraland to provide smart contract-based mortgages for purchasing LAND. Decentraland is a virtual reality platform built on top of the Ethereum network, making it possible for individuals, brands, and studios to develop rich, interactive 3D content hosted on a decentralized platform. From now own, RCN and Decentraland users will be able to request on-chain mortgages (i.e. immutable records of ownership) through the Decentraland marketplace to purchase any LAND parcel posted for sale. How do virtual land mortgages work? The purchaser simply has to complete a brief application form including the transaction details (amount requested, duration, minimum interest amount, interest rate, punitive interest rate and expiration date) and deposit at least 10% of the total value of the parcel in question. Once the user requests a mortgage on the Decentraland marketplace, a new loan is automatically published on the RCN dApp. As long as the parcel remains available (“on sale”), any lender is able to lend funds and fulfill the request. This action creates a smart contract that locks the parcel and transfers the land’s ownership to the borrower (i.e. the mortgage requester). The requester will immediately find a PAY button on the Decentraland dApp. Once this user decides to repay the mortgage, he becomes allowed to demand the land’s full ownership by using the CLAIM feature on the Decentraland dApp. If the borrower does not repay the mortgage amount (up to 7 days after the loan expiration date), the lender is allowed to request the mortgage back using the same feature. If this is the case, you will see a “Defaulted” notice on the parcel page. You will lose the paid amount, along with your ability to claim that parcel. “Decentraland is dedicated to making the exciting new world of virtual reality decentralized — ruled by open standards as opposed to one central organization. This partnership will help us fully commit to that mission, as the buying and selling of land — the basis of all the exciting things our users can create in VR — will not just be decentralized, but done on the leading global blockchain-based credit network,” stated Decentraland CEO Ariel Meilich.